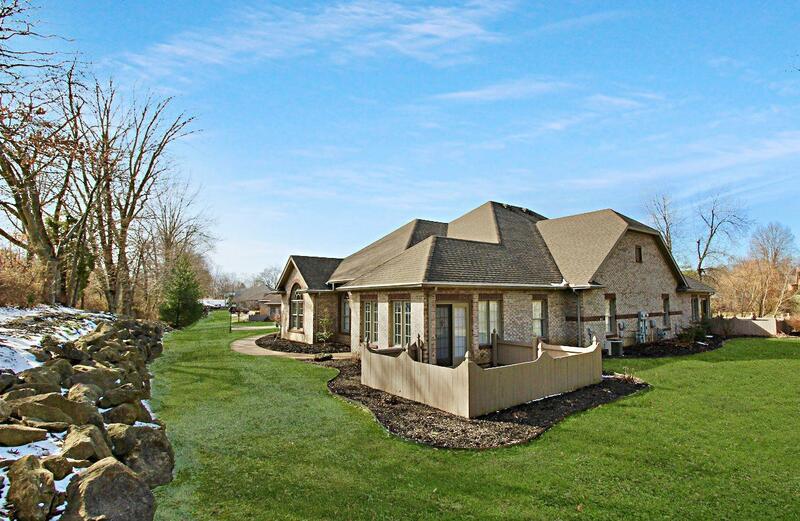 Beautiful condo located in Wolf Creek Village on Evansville's West Side. This home offers an open floor plan with high ceilings. 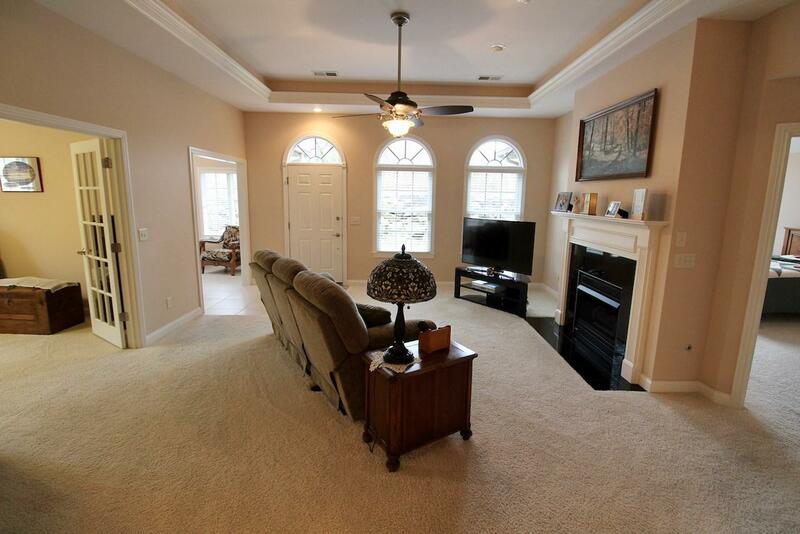 Living room features a tray ceiling with crown molding, gas log fireplace, lots of space and tall arched windows. Kitchen is upgraded with granite countertops, under mount sink & stainless steel appliances. Master Suite features cathedral ceiling, master bathroom with granite top & step-in shower and a walk-in closet. 2nd Bedroom is nicely sized and located next to the 2nd full bathroom. Office/Den is located off the living room with double french doors and a built-in desk. Also, there is a corner sunroom located off the living room that has access to the patio. 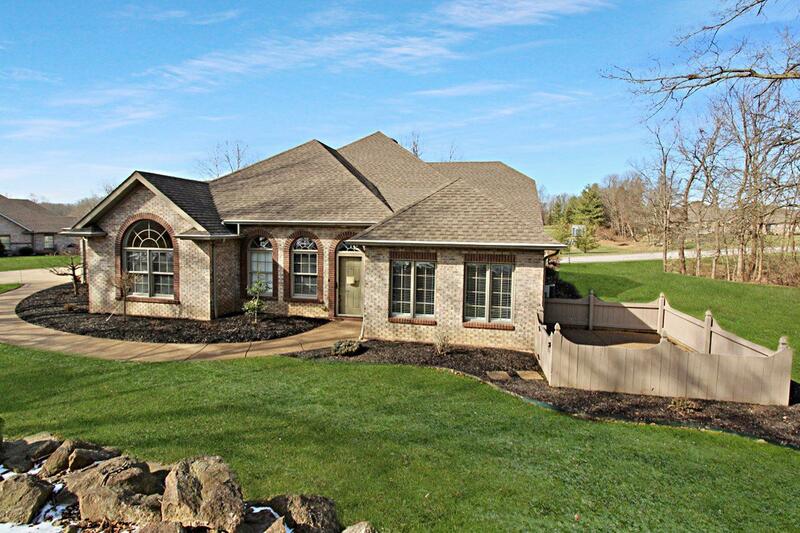 Home is located on the back offering more privacy and beautiful setting with large boulders bordering the property. Condominium Association Fees are $215/month. 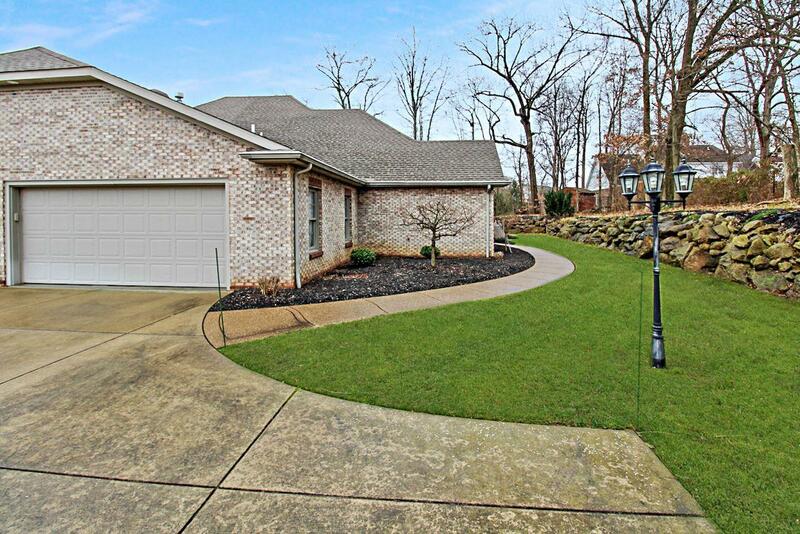 Listing courtesy of Grant Waldroup of Fc Tucker Emge Realtors.